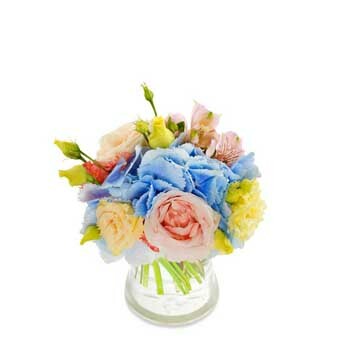 "A pretty bouquet in pastel tones of cream, pink and blue. Featuring roses, alsroemeria, and lisianthus. The lovliest way to show you care. Lovingly created by a local florist and delivered by hand. Vase not included."